Xiaomi Redmi Go second sale will be held starting 2 pm on March 25, which is today. The phone will be available through Flipkart, Mi.com as well as Mi Home stores. Xiaomi Redmi Go will be on its second sale today. Xiaomi’s Redmi Go will be going on its second sale today starting at 2 pm. The previous sale was held on March 22. The phone will be available through Flipkart and Mi.com. 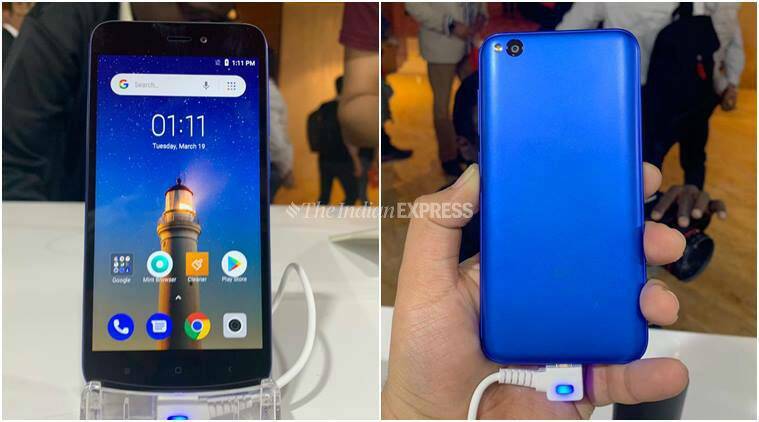 The Redmi Go which is priced at Rs 4,499, can be bought with launch offers from Reliance Jio, which is offering Rs 2,200 cashback as well as 100GB data free. To avail this cashback offer, Reliance Jio users will need to recharge their number either with Rs 198 or Rs 299 recharge plan. After the successful recharge, Reliance Jio would be crediting 44 discount vouchers of Rs 50 each to the user’s account along with 100GB data – both can be redeemed on future monthly recharge. The Redmi Go is Xiaomi’s first ever Android Go (edition) phone in India. It was launched on March 19. The device comes with 1GB RAM and 8GB storage. The device sports a 5-inch 16:9 720p HD display and is powered by a Snapdragon 425 chipset with four Cortex A53 cores at 1.4GHz. The Redmi Go supports a hybrid SIM slot that lets the user add a secondary SIM card or a MicroSD card in addition to a primary SIM card. Other features of the smartphone include an 8MP camera at the back with LED flash and a 5MP front shooter. The Redmi Go has a 3,000mAh battery.